Engaging with Asian Australian writing, this book focuses on an influential area of cultural production defined by its ethnic diversity and stylistic innovativeness. 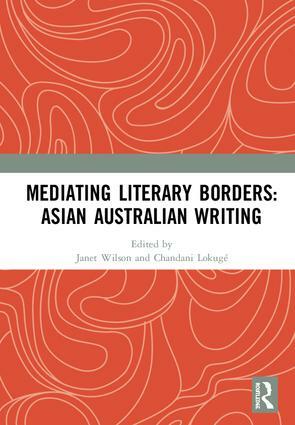 In addressing the demanding new transnational and transcultural critical frameworks of such syncretic writing, the contributors collectively examine how the varied and diverse body of Asian Australian literary work intervenes into contemporary representational politics and culture. The book questions, for instance, the ideology of Australian multiculturalism; the core/periphery hierarchy; the perpetuation of Orientalist attitudes and stereotypes; and white Australian claims to belong as seen in its myths of cultural authenticity and authority. Ranging in critical analyses from the historic first Chinese-Australian novel to contemporary award winning Sri Lankan, Bangladeshi and Filipino Australian novels, the book provides an inside view of the ways in which Asian Australian literary work is reshaping Australian mainstream literature, politics and culture, and in the wider context, the world literary scene. This book was originally published as a special issue of the Journal of Postcolonial Writing. Janet Wilson is Professor of English and Postcolonial Studies at the University of Northampton, UK. She has published widely on Australian and New Zealand postcolonial and diaspora writing and cinema, including guest-edited journals and essay collections, recently The Routledge Diaspora Studies Reader. She co-edits Studies in World Literature, and the Journal of Postcolonial Writing. Chandani Lokugé is Associate Professor of Literary Studies at Monash University, Australia. Among her 15 book publications are the Oxford Classics Reissues series of Indian women’s writing, three novels and several guest-edited journals, including the Journal for Postcolonial Writing. She edited the Annotated Bibliography of English Studies for Routledge from 2007-2009.